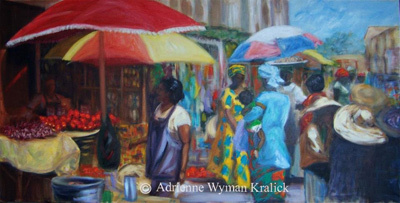 Adrienne is an accomplished oil painter, teacher, and exhibiting artist best known for: lifelike portraits, intimate mother and child paintings, and vibrant African market scenes. She is passionate about art history and the lessons that can be learned from the lives of the world's great artists. 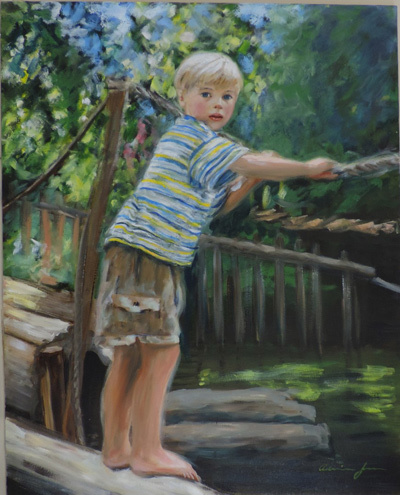 She teaches classes and workshops combining hands-on painting with lectures and museum tours, on artists from the Old Masters through Post-Impressionists in the DC area and in Europe. 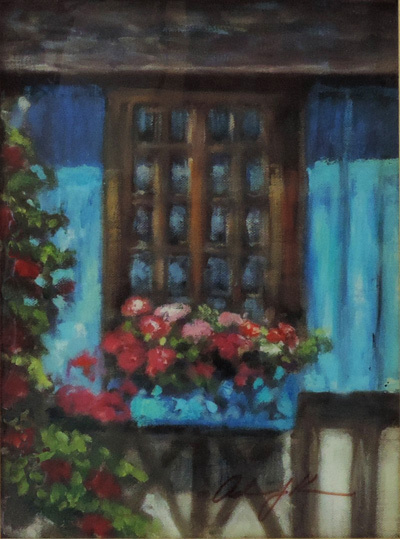 Adrienne Wyman is a DC-area artist with a global perspective: finding inspiration in the commonalities and differences across cultures. As a humanitarian, she donates proceeds from art sales to help children worldwide improve their lives with education through the non-profit project she founded called Painting Brighter Futures. 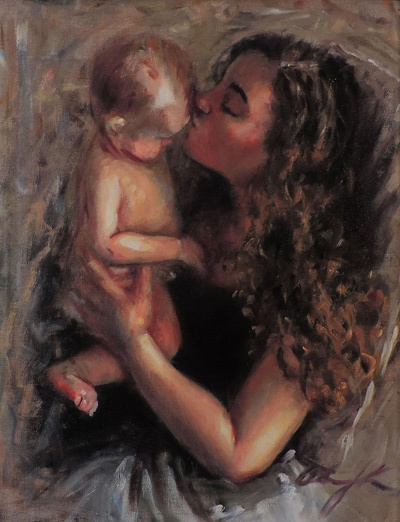 She has a particular attachment to mother and child scenes which have been compared to "a modern day Mary Cassatt". The Washington Post has described her portraits as elegant. Additional images of her work may be seen at adrienneartist.com.